The Mercedes-Benz SLS AMG Coupé Black Series. THOSE with a penchant for a Mercedes-Benz gullwing with super performance will also need super deep pockets. 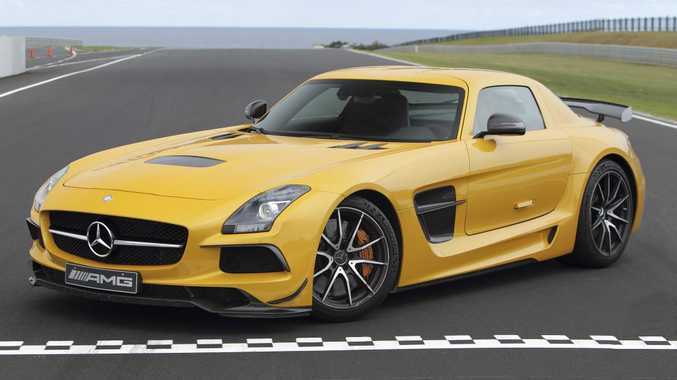 Arriving here in July, the Mercedes-Benz SLS AMG Coupé Black Series will retail for $639,000 plus on-roads. The AMG tuned 6.3-litre V8 engine delivers a maximum output of 464kW and up to 635Nm of torque. It can accelerate from 0-100kmh in 3.6 seconds, and has a top speed of 315kmh. "The SLS AMG Coupé Black Series perfectly embodies the transition of performance technology from motorsport to the open road," said Mercedes-Benz Cars Australia/Pacific managing director Horst Von Sanden. "The new SLS AMG Coupé Black Series further enhances the success of the Black Series, which has thrilled our customers since 2007." As you would expect, the gullwing gets a host of exceptional features including: AMG RIDE CONTROL performance suspension, AMG ceramic high-performance composite brakes, AMG sports bucket seats, AMG performance media and Blind Spot Assist.